Classes are scheduled to begin Monday for tens of thousands of community college students around San Diego County, and some will be carrying around custom-made guitars. 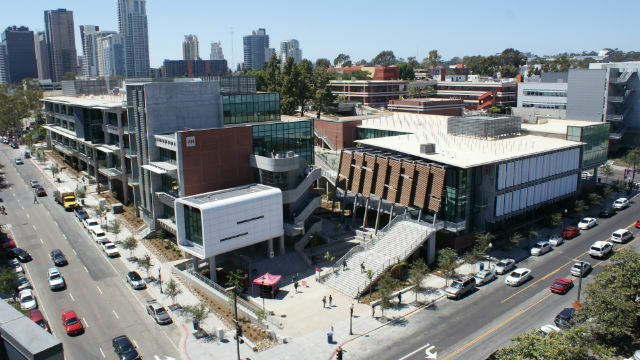 Around 50,000 students will begin studies at San Diego City, Mesa and Miramar colleges and the Continuing Education campus. At City College, the second class in a Manufacturing Engineering Technology program will involve the design and construction of custom-made guitars. College officials said the program is aimed at helping students become skilled manufacturing engineering technicians. Mesa College plans to dedicate a new student commons building next month, while Miramar College will offer certificates for emergency medical technicians, and graphics and visual productions. The fall semester will also begin for Cuyamaca and Grossmont colleges in the East County, MiraCosta and Palomar colleges in the North County, and Southwestern College in Chula Vista.